I have a soft spot for the Bvlgari tea series, as Au Thé Rouge was the first fragrance I ever wrote up for APJ and it holds special memories of that summer. And it changed my life. It all started with a travel size sample of Au Thé Rouge and subsequent hunt for and purchase of rooibos, the “rouge” tea in Au Thé Rouge. From there I started investigating styles of tea, and tea as a fragrance note. Two years later and my life is richer for these experiences; I’ve widened my knowledge of the world, found some beautiful “tea” fragrances, and thoroughly enjoy a quiet cuppa and breathing space now and then. I was excited to hear about the release last year of Au Thé Bleu, Bvlgari’s fourth in the tea series. It showcases a ‘blue’ tea accord, inspired by one of my favourite teas, Chinese oolong. Au Thé Bleu is a great cologne to both counteract and compliment a hot summers day. It opens with a smoky tea, cool lavender and subtle iris. The lavender is the star here. The fragrance stays crisp and cool for about an hour, before it warms up with a touch of tonka, giving the whole silage a comforting feel. Over the next two hours it flits around, alternating between warm and cool, supported by wonderfully light musk notes. The best way to describe the musk is clean but warm, not like a cool laundry musk. It’s sweeter, slightly in to musk-stick / lolly territory. At 4 hours the fragrance has a peppery feel about it. I didn’t remember seeing any spicy notes listed but when I went back to Fragrantica and the Bvlgari website, there is a note listed of Shiso leaf which is described as having a peppery spicyness about it. It fits in well. As a cologne strength the dry down is surprising long-lasting, staying on my skin for about 8 hours. There is a fabulous uplifting quality to this scent, and it makes me feel as if I’m being warmed by the sun, whilst looking up at a blue summer sky across wide fields of lavender. The ‘blue’ accord is sheer and radiant – like holding up a corn-flower blue sapphire to the sun and watching the sparkles of light dance. ‘Happy’ is a simple word but the feeling of being happy can be profound. This fragrance makes me happy, it has a pureness from simplicity which is a pleasure to enjoy. Do you have a favourite fragrance you wear, which makes you feel happy? Tina, I must admit I’ve swerved this collection because so women in London wore the green one. I’m not a lavender lover but you make this sound so joyful. My happy perfume is another cologne – Eau de Mandarine Ambree by Hermes. This one is certainly uplifting, but it does have a fair whack of lavender – which I enjoy – although I am aware that it’s can be a red flag for some. I remember reading your article on Eau de Mandarine Ambree – mandarin is one of my all time favourite notes – and I had bookmarked it to try. Still haven’t! But I’m sure it’s in the shops. I’ll have a look next time I’m in town. Oh yes do try the Hermes, I’m pretty sure you’ll love it. I have been waiting to try this, it sounds so good for summer. Which is nearly over. I did wear a bit of Oolong Infini though,a lovely light but refreshing tea scent. I’m going to try this one through winter aswell – the musks are quite warm & comforting. I think it would work well cross-seasons – although that sheer ‘sparkling blue’ impression I get really does remind me of a pale bright summer sky. It’s definitely worth a sniff. I really should get to know the Ateliers a bit better – I’ve just been looking up Oolong Infini and it sounds lovely. I’m not much of a fan of tea in perfumes. I’m afraid I’ve been burned too often by that awful, screechy quality that tops off so many contemporary teas. I know that there are many beautiful tea centric fragrances out there that don’t screech, and your description of Au Thé Bleu makes me almost want to give this one a try but, as the old saying goes, “once burned, twice shy”. Be that as it may, Curve Kicks for Women in the orange tin make me happy (forces me into a state of happiness) on several levels. 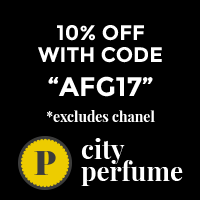 I love its effervescent, bright, generic citrus top notes and its peachy, sandalwood dry down. It is CHEAP and, despite being discontinued, is still easily available, at least in the US. Thank you for another lovely and thoughtful review! Curve Kicks for Women sounds fresh and fun – and yum, mandarin. And cheap is good, we like cheap! I picked up Tea Rose by Perfumer’s Workshop for $15 the other day and was well pleased with myself – a simple but great rose frag. Love it. This is one of my favorite fragrances from 2015, so fresh and complex at the same time. It’s a worthy successor to Jean-Claude Elena’s beautiful original Eau Parfumee, Eau The Verte.